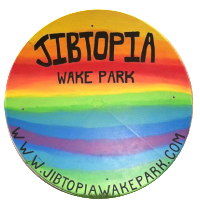 Jibtopia Wake Park is proud to offer our waterfront bar and grill featuring a full bar, food menu, as well as a great selection of beverages including a full selection of alcoholic choices. Our food menu features tasty items such as burgers, hotdogs, fries, pizza and much more to enjoy during your stay. Stay tuned into our new food menu items to come in 2017 featuring healthy options for parents, as well as a featured breakfast menu for campers. 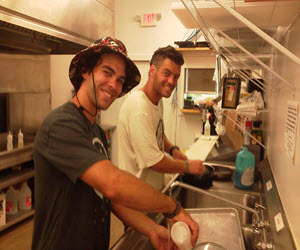 Jibtopia Wake Park has a strict no outside food, beverage, or alcohol policy. We reserve the right to ask you to put your food and/or beverages in your vehicle during the duration of your stay or throw them away if you choose not to comply with this rule. 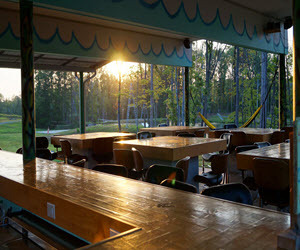 We do not allow ANY food or beverages of any kind to be brought into the park by you or your guests. We strictly adhere to the North Carolina ABC regulations including no outside alcohol or liquor at any time on the premises. We will card anyone who looks under the age of 35 when purchasing any alcoholic beverage.